It is no exaggeration to call this the biggest Klassiker since the 2013 Champions League final. It is no exaggeration to call this the biggest Klassiker since the 2013 Champions League final. Bayern can leapfrog Dortmund at the top of the table if they win an eighth consecutive league game at the Allianz Arena. They have routinely trounced their opponents on this ground in recent years and can call on greater experience than Lucien Favre's talented young side. The absence of their first choice full-backs is a problem Dortmund will have to overcome and Christian Pulisic is also out with a hamstring injury. But Bayern remain unconvincing in big games. They lost the reverse fixture 3-2, failed to beat Ajax in the Champions League group stages and disappointed against Liverpool in the Round of 16 of the same competition. 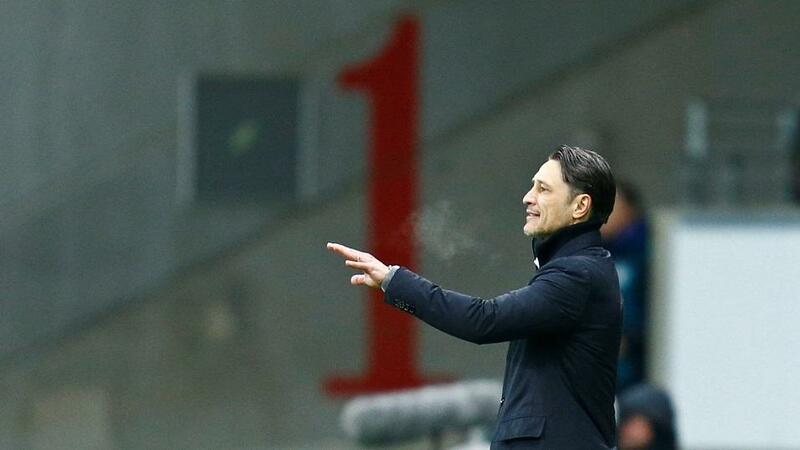 The pressure is on Nico Kovac who risks becoming the first Bayern coach since Jurgen Klinsmann to fail to win any silverware this season. Wednesday's 5-4 thriller with Heidenheim did little to inspire confidence. Defeat would leave Bayern five points off the top with six games remaining and in need of a Dortmund collapse. Knowing they need to win perhaps simplifies things for Bayern though. Dortmund on the other hand could be caught in two minds between going for it and settling for a draw. It's never an easy position to be in. The market respects that Bayern have been here and done it before. They are [1.56] to win on the day and are favourites to retain the Bundesliga at [1.65]. The last chance of a title race passes through Barcelona on Saturday night. The reigning champions are eight points clear and wish to maintain that advantage in order to better prepare for their Champions League tie against Manchester United. Atleti on the other hand have nothing else to play for and can go for it. Moving within five points of the Catalans and unnerving them a little as the season enters its final stretch would be enjoyed by fans of the Colchoneros and neutrals alike. Naturally they remain outsiders. The exchange has them trading @  to be crowned champions for the 11th time. Atleti won the league at the Camp Nou but they didn't beat Barcelona that day. In fact Diego Simeone has never won a league game here in his time as manager. The last Atleti victory in these parts dates all the way back to 2006. El Cholo could do with Alvaro Morata passing a late fitness test. His speed on the counter could be precisely what's needed on Saturday night. Barcelona are undefeated in 18 games across all competitions. But Atleti are far from an ideal warm-up act for United. It could be a bruising, energy sapping encounter and Ernesto Valverde will have to get the balance right in his team selection and the minutes allocated to his star players. Perhaps Atleti's best chance lies in those calculations. Nevertheless I'd be inclined to take the draw @ [3.9] and bank on a low-scoring affair under 2.5 goals @ [2.02]. Now just a point off the top four, Atalanta are on the charge. Champions League football looks increasingly likely not least because they are the most convincing team in contention for the final slot. They've also been here and done it before. Atalanta finished fourth two years ago, which was the last season when only the top three qualified for Europe's elite club competition. Thursday's demolition of Bologna was another statement of intent. Atalanta struck four times inside 15 minutes, the first team to do that since Juventus in 1932. They are the league's top scorers and Sunday's game at San Siro holds no fear. Gian Piero Gasperini likes nothing more than to stick it to Inter after they sacked him before the season had barely started in 2011. Atalanta smashed them 4-1 in Bergamo in November and memories of that performance must inspire confidence. Gasperini was furious with Duvan Zapata [and the referee] for picking up a yellow card that rules him out of the short trip to Milan. Thirteen of Zapata's 20 goals this season have come on the road and he'll be sorely missed. But it's worth recalling that he failed to score in the reverse fixture and had only found the net once all season up to that point. Inter returned to form with an impressive 4-0 win against Genoa on Wednesday. The extra 24 hours to prepare and Mauro Icardi's emphatic comeback after 109 days in the cold are grounds for optimism among the Nerazzurri. Icardi scored, hit the post and set up a goal for Ivan Perisic, the teammate with whom there is supposedly the most friction. If Josip Ilicic can play as well as he did against Bologna then you fear for Inter. Luciano Spalletti can count on higher profile individuals, but Atalanta remain the better collective and carry a much more multi-faceted threat. Pick the Dea to win @ [3.7].